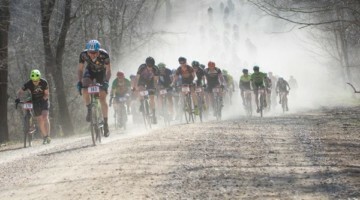 Last weekend, at Barry-Roubaix, the Open Men and Women stormed Western Michigan for the seventh annual race. We also looked at Mackenzie Woodring’s race winning Foundry Harrow. 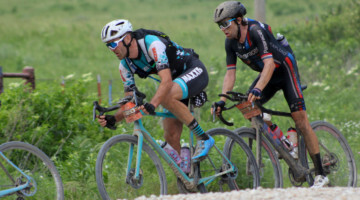 Today we offer a race report from a rider of WASlab, the group that took the overall team win last Saturday. 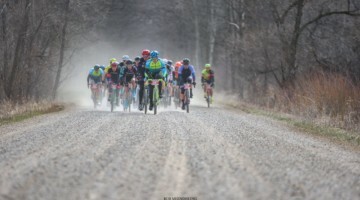 Hastings, Michigan once again played host to 3000+ racers on a cold but clear seventh edition of Barry-Roubaix on Saturday. 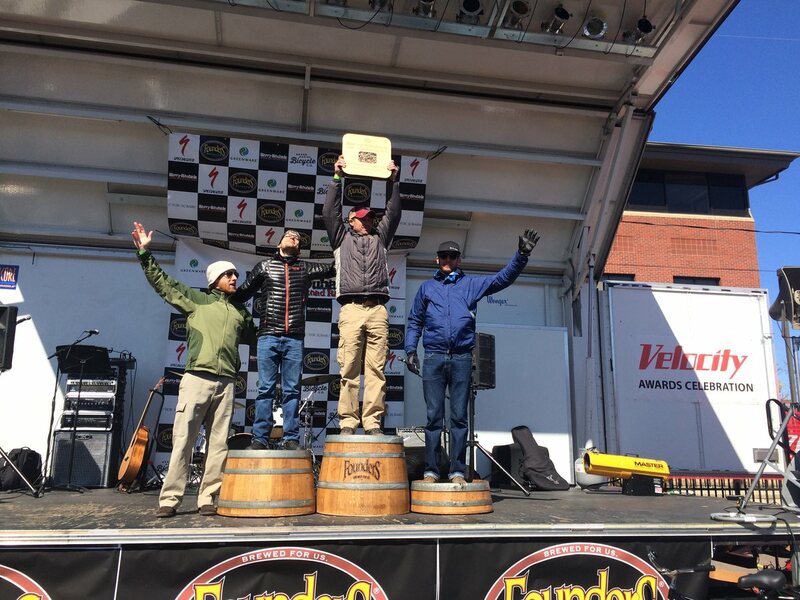 There were fears a few weeks ago that snow or ice might be the norm, but instead racers were greeted with 18-degree temperatures and gravels roads that were nearly as smooth and concrete. Having put a few riders in the top 10 last year, my fellow WASlab teammates and I were sure to be marked men, but all the region’s fastest, along with some national talent had made the trip for the early season test. The gun went off and we proceeded through town in a nearly neutral fashion before tackling the first dirt section on Yeckley Rd, a mere 2-miles into the race. Yeckley not only offers riders their first taste of dirt, but a stair-step climb nicknamed the Three Sisters. Each sister is successively steeper which serves to pare down the group or in this year’s edition as the launch pad for the decisive breakaway. It was on the third Sister that David Lombardo of Herriot Sports Performance/Hagens Berma escaped the group only to be seen again at the finish. At the time most of us assumed it would be similar to other years where small group had gone away, only to be kept in sight and come back after a few miles, but Lombardo had other ideas. In the group there was a mix of cooperation and sitting in. The pace was kept relatively high, but you could tell that everyone was waiting for Sager Rd to make any concerted effort. Any veteran of the race would know the road, but perhaps not the lead into it as it has been omitted from several editions. In years past it was the first dirt section, and is the most technical portion of the course. 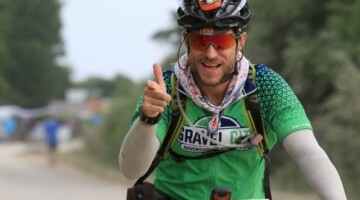 This year, however, it fell about 18-miles into the race and short of a few large ruts and a mud puddle; it was not the Sager most of us remembered. It did trim the group down by a few, as crashes could be heard behind, but a group of 25 riders emerged almost half expecting to see Lombardo on the other side. He was nowhere to be seen. As the race continued to progress, measured attacks where each given a small advantage, only to be pulled back again. After each attack came back, riders would settle in at the front to try and keep the pace high, but as the miles ticked down, it became clear that we were all racing for second place. 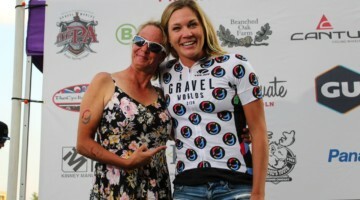 The final sections of dirt proved to be hectic as we caught the riders who were competing in the 24 or 36-mile race. The pace was kept high over the climbs as my teammate Jason and another rider had a small gap. The additional riders on course forced the group into a long line in pursuit. Once we made the turn onto pavement the lead group was back together, but at times it was confusing, as we kept catching and passing riders in other categories. The finish is marked by a pavement climb, followed by a descent into town where the riders have a mini criterium course to navigate. Again, there were those in the group who would not be satisfied with a field sprint for second, and used the incline to try and get away. They were quickly brought back on the downhill and it was an all out dash for the line. As the riders made the final left it became suddenly apparent how close we had come to catching Lombardo. He was only a few second ahead but it was enough for him to take the win. Individually, we were all a bit disappointed by our finish, but we were happy to take the win as a team overall by placing five riders all in the top 30. While no one has been able to repeat as an individual winner, the same cannot be said for the team competition. Thanks to all our sponsors for helping get us here not to mention our excellent hosts in Grand Rapids and Hastings. Hopefully next year it will be warmer. But, would it be the same without a little bitterness?